When you begin to think in terms of pesos, things become less confusing. One of the most anxiety-provoking aspects of moving to Mexico and traveling as a single person in my first months was handling money. I hadn't been to Mexico in over 30 years, the anxiety over the unfamiliar currency did not last long, a thirty-day phase perhaps, but the loss of equilibrium was astonishing. It wasn't a matter of not knowing the exchange rate of the peso to the dollar either. I didn't anticipate how the difference in the denominations (like the 500 peso note) and the difference in how the bills and coins looked was going to throw me off so much. If your Spanish is not good, the argument could be made that purchasing things will cause you more stress than any other aspect of arriving here. You are often under pressure and don't want to look like an idiot at the register or with a vendor. Every now and then, that will be used against you. The cognitive dissonance of making transactions with bills and coins that look different from what you're used to can throw you in spite of knowing better. Inexpensive things cost hundreds or even thousands of pesos rather than tens of dollars. Of course, I anticipated the currency would look different, I didn't realize how much my basic math skills had eroded. Tipping is 10-15% in Mexico and you learn to carry lots of five-peso pieces for grocery-baggers, parking space-savers and others who do small favors. A little haggling can be fun at a mercado, but don't get too carried away.You might have the proper tip (propina) in coins. When was the last time you left a tip in coins in the U.S.? I often felt My math is good. It was the right amount, but leaving a coin? Then there is the grocery store. Because it is still a mostly a cash country, grocery shopping in Mexico feels like it must have felt in the Civil War South. You find yourself handing over a pile of bills with "big" numbers on them; 100’s, 500’s, adding up to thousands of pesos! …..or $83.00, depending on how you look at it. Anyone would be well-served to study the money as well as the exchange rate when preparing for Mexico. Only with experience will you know what 2,300 pesos really means in terms of value in Mexico, which is a little different from knowing that it's $139 dollars U.S.D. Simply knowing the exchange rate will not prevent some uncomfortable moments requiring that you take a deep breath, slow down and think calmly in front of sighing vendors, cashiers, and taxi-drivers. At first, expect even your debit card to look unexpectedly foreign and ATM’s to take on an exotic air (avoid using other than bank A.T.M.s) whenever you can. Your memory of common banking practices, pin numbers and login information can freeze up on you too. It is a phenomenon that a number of expats have confessed to me (You have to confess first. Otherwise they will never admit it). It’s an alarming yet temporary condition, among the many times you will experience cognitive dissonance. In larger cities, banking is virtually the same as the U.S. If you have not traveled to Mexico in the last ten years, you may not be aware how convenient it has become. Mexico is no longer the Mexico of your college spring breaks. You can check your money online every day if you want, and you probably will for a while once you're here. A money belt was my best friend at first, not because I feared being robbed, but because I knew my house key and cab fare would always be there on my belly, regardless of how distracted I was by new sights and sounds. I also highly recommend two bank accounts back home, each with their own debit card you can keep in two separate places. If you lose your debit card, it will make things much less stressful as you can do an online transfer of money from the account attached to lost card (after calling the bank of course) to the other bank. I've lost my debit card and was glad I'd taken the precaution of setting up another account with a credit union. Don't be embarrassed if your math skills aren't what they used to be when you're doing the on spot currency exchange calculations. Few people's are. Next Up: Perceptions versus reality about safety in Mexico. Most recent: Tropical storms by night, the ocean roar by day - what's not to love about summer in Mexico? 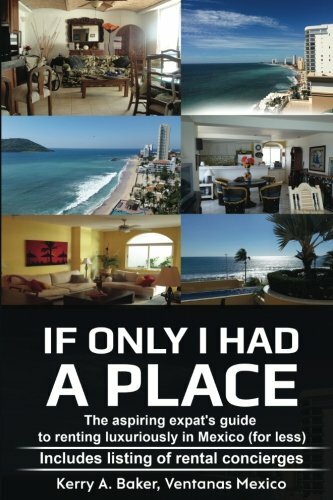 Kerry Baker is a partner in Ventanas Mexico which provides resources and insights to moving to Mexico, including "If I Only I Had a Place: An Aspiring Expat's Guide to Renting Luxuriously in Mexico." 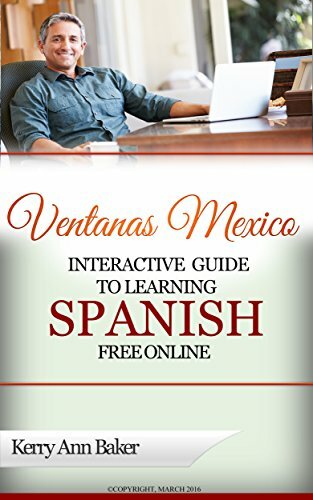 She is also author of the "Interactive Guide to Learning Spanish Free Online," an interactive tool that takes you directly to the best language tools on the web. Every day can be different with the Guide.